I don't understand one thing in android batterylife. Some Android phones can have even a bit longer talk time with the power battery then in Symbian. But music playback is something like this. Lets say umm Nokia N8 about 12 hours of talktime vs Samsung Galaxy S about 14 hours of talktime. Ok then the music. Nokia N8 50 hours. Samsung Galaxy S about 14 hours. So this is my question. How can Android drain battery so much in so small task as playing music? I don't know what is worse: Android fanboys or Android and SAMSUNG fanboys. since nokia sold us out by joining mirosoft, Nokia and Symbian (symbian will stop in 2015 anyway) are DEAD! The Future now is Andriod (samsung). Pleas nokia update your hardware and use cpu: arm a8 or arm a9, and pleas update symbian s^3 to support higher resolution of display not bad nhd. which is old. [deleted post]Only in your dreams.. N8 is champion even if has 680mhz processor.. Android flagship or IP4 cant even send sms if it had same power.. Thats the power of symbian that most android fans or ios4 loving kids dont understand..
[deleted post]HAHA, so what can you say now, huh? Go to other topics, better, to your adored android or IOS sites. Leave us alone, OK? To all trolls out there, saying non sense, bashing, arguing and even insulting us, please, leave us alone!.., We are already fed up with these comparisons on which is the best OS or phone manufacturers. We all have a choice, if we want nokia or symbian, you don't have any rights to argue with us, that's our choice. We don't care if you prefer IOS or Android, for now, we just love things about nokia, and sorry to say, but we, (specially me) don't like or even don't prefer Android or IOS whatever you say. period!!! Nokia, dead in 2005, that's when they stopped innovation. that chinese person made this up to get back at those who use his blog's entries without permission. Or so he/she says. actually, it is fake. Look for the commenter named aikon on mynokiablog. OTOH, those complaining on phone companies choice of having this and not having that, you are free to look on other brands/models. It's called CHOICE. is this a joke? I m using nokia mobiles for 10 years. I know them very well. But what is this, when we have already options like c7, c6-01 then what is the need of this model. This is totatally n8 with downgrade cam nd no hdmi port which i think we don't use often. So this will priced 4k or 5k less than n8. So i dont know what nokia doing here they just expanding their s^3 series no new thing at all just like touch express music series. Cmon noki work hard on ur windows nd meego flagship or u'll be out of the race in this everyday changing tech world. They should have used the same camera technology found in N86. Guys, can we please talk about this news rather than rehash the old Apple vs. Nokia vs. Android argument? This is a nice-looking handset, and as usual Nokia is taking one of their good and popular designs and tweaking it for a slightly different market. Which is great, and the reason they are still number 1 overall. I really have to say though, the only news I'm really waiting on from Nokia is the promised Sym^3 update. And the more handsets they release with the pre-update Sym^3 the more different firmware versions will have to be released when they finally get around to finishing the browser/onscreen keyboard/UI updates. People here are so narrowminded. It's not because YOU love some OS, EVERYONE should love it, right? You know, I really really REALLY hated NOKIA with it's super old ugly outdated Symbian OS. I even laughed with people how bought Nokia devices! 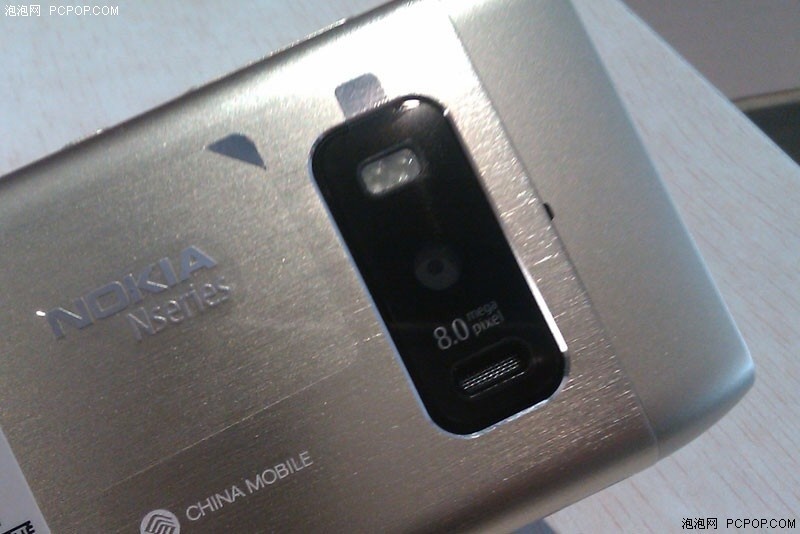 But because of the extreme good camera, I bought a Nokia N8 a few days ago, while I said a few years ago I never would buy a Nokia with Symbian again!! Now you know... I've never been happier with a phone than my N8! Not only for it's perfect camera and FREE GPS (!!) but also because of the beautiful color (I have the green one), the biuld quality and.. yes.. The OS!! Anyway, my previous phone was the HTC Desire HD, and I love my Nokia N8 more!! Says enough, doesn't it? And it fast, really fast! So no need for dual core 1 ghz+ proccessor. Can you imagine a Symbian3 device running a dual core 1GHz+?? Would be faster than light!